Situated next to the Ottawa River where impressive monoliths sit to commemorate the historic Battle of Long Sault, AIM has positioned itself since 2015 as a platform for electronic music. 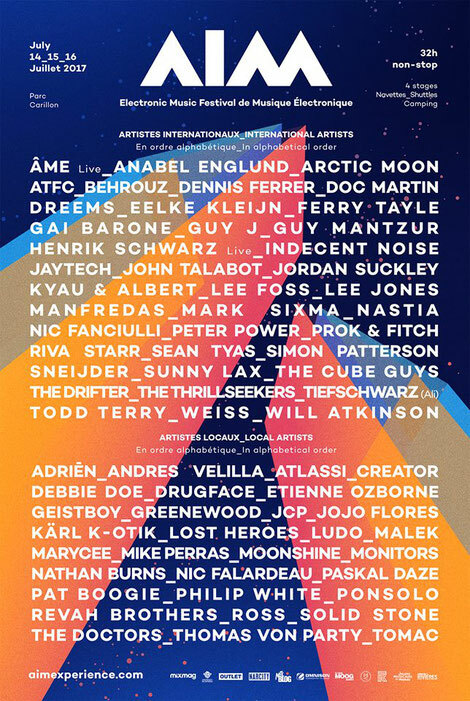 Presented on four stages, its line-up apparently has something for the niched listener, the music-lover, and those ready to discover electronic music in all its forms: techno, house, deep house, trance, and electronica are all on the menu. The festival will present over 50 artists, both DJs and live groups, accompanied by cutting-edge visuals, art installations, foodtrucks, workshops and on-site camping that allows for an immersive experience, aiming to appeal to all the senses.